Meeting Minutes – January 2016 | F.F.A.M. President Kenneth Hoover called the meeting of the Board of Directors of the Fire Fighters Association of Missouri to order at 9:00 a.m. Sunday, December 6, 2015 at the State Fair Fire Department in Sedalia, MO. President, Kenneth Hoover, Little Dixie FPD; First Vice President, Tim Bean, West Plains FD; Secretary Treasurer, Jaime Miller, Johnson County FPD; Sergeant-at-Arms, Rex Reynolds, Southern FPD of Holt County. District 2, Greg Wright, Shelbina FD; District 4, Joe Vaughn, Pleasant Hill FPD; District 6, Richard Gordon, Cole County FPD; District 7, RB Brown, Eureka FPD; District 9, Roy Sims, West Plains FD; District 11, Monty Thompson, Kearney FPD; District 14, Rick Dozier, Southern FPD of Holt Co.
District 3, Rob Erdle, Little Dixie FPD; District 3, Steve Gentry, Little Dixie FPD; District 6, Gary Berendzen, Cole County FPD; District 10, Greg Brown, Eureka FPD; District 11, Ryan Miller, Norborne FPD; District 14, Glenn Dittmar, South Central Buchanan County FD. Past President, Keith Smith, Warrenton FPD; Historian, Kay Asher, Wentzville FPD; David Hedrick, Gail Hagans, MU FRTI; Greg Carrell, Brenda Carrell, Division of Fire Safety; Larry Jennings, Larry Eggen, Kathy Borgmeyer, Johnson County FPD; David Miller, Johnson County FPD #2; Harriett Vaucher, Eureka FPD; Grant Oetting, Higginsville FPD; Brian Zianni, Clayton FD and Funeral Team; Scott Frandsen, Lake Area Emergency Services. President Hoover asked for additions to the agenda. Roy Sims moved to accept the agenda as presented. Monty Thompson seconded the motion and all approved. President Hoover asked for a review of the August 9, 2015 meeting minutes. No corrections or changes were made. Rick Dozier moved to accept the minutes as presented. RB Brown seconded the motion and all approved. President Hoover asked for a review of the August/September 2015 and October/November 2015 financial reports. RB Brown moved to accept the financial reports as presented. Rick Dozier seconded the motion and all approved. MU FRTI Director, David Hedrick reported that the 2015 annual reports are out. Winter Fire School will be February 5–7, 2016 in Columbia. There are several new training topics. The Expo will be February 5 at the Holiday Inn. 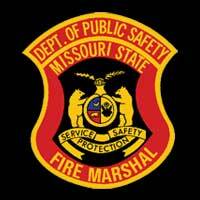 The Division of Fire Safety and Missouri Fire Safety Commission are sponsoring scholarships to Winter Fire School. The information is in the brochure. The scholarships are open to volunteers and everyone is encouraged to apply. The Grain Bin Engulfment Rescue course has already been conducted several times. If you would like to schedule the course in your area, contact MU FRTI. The Fire Service Enhancement Leadership Program, which helps educate fire chiefs and future fire chiefs, is currently available. Contact MU FRTI for more information. MU FRTI will be assisting FFAM in scheduling and hosting the Recruitment and Retention courses that are made available by the FEMA grant received. A special brochure will be distributed around the state regarding a special session of the classes being held on Friday, February 5 during Winter Fire School. So far this fiscal year, 391 courses have been scheduled and more than 1,000 student instructional hours have been completed. Greg Carrell, Fire Marshal, with the Division of Fire Safety reported that they just went through an accreditation site visit and received 100% approval on the program. There are lots of training opportunities available in 2016. Contact the DFS to get more information on upcoming classes. December 1 was the legislation pre-file deadline. There is lots of new legislation in the works pertaining to firefighters that the DFS is following. Contact him if you have any questions. Chief Hoover reported that he represented FFAM at the EMS Funeral Team banquet in October. 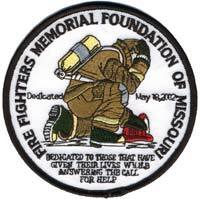 FFAM was presented with a plaque and a donation was made by the Missouri State Fair Fire Department to the funeral team. Larry Jennings reported that the FFAM has been awarded the SAFER grant from FEMA. The grant provides funding for four years. Host sites will be needed throughout the state so contact MU FRTI if you are interested in hosting the recruitment and retention classes. Secretary Miller presented one new benefit for members. Life Lock would like to partner with FFAM to offer a 10% discount to members with a revenue benefit being given back to FFAM for those that sign up. Discussion followed. RB Brown moved to partner with Life Lock to offer a new benefit to the FFAM members. Rick Dozier seconded the motion and all approved. Vice President Bean presented the 2016 proposed budget for review. Keith Smith has requested an additional $1,500 for the NVFC Representative budget so he can attend the spring meeting in Washington D.C. Discussion followed. The board advised to move $1,500 from the Membership Committee budget to the NVFC Representative budget. Richard Gordon moved to accept the 2016 budget as amended. Greg Wright seconded the motion and all approved. President Hoover reported that he had two new committee assignments to present. President Hoover recommended the appointment of Rick Dozier to the State Fair Committee. Greg Wright moved to accept the appointment of Rick Dozier to the State Fair Committee. Joe Vaughn seconded the motion and all approved. President Hoover recommended the appointment of Shelby Phifer to the Awards Committee. Rick Dozier moved to accept the appointment of Shelby Phifer to the Awards Committee. Joe Vaughn seconded the motion and all approved. Larry Jennings reminded everyone that the awards have been revamped by the committee. Everyone is encouraged to review the awards and nominate those deserving of them. 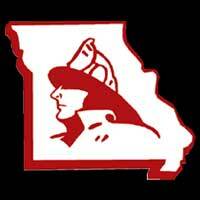 David Hedrick reported that the Missouri Fire Chaplain Corp spring training will be May 2-3 in Springfield. Richard Gordon reported the committee has been checking their equipment to ensure it is ready for convention. There are no issues with the site since they are familiar with it from the last convention. Richard Gordon also advised that at the end of December, he will be retiring from his department and would be stepping down as the FFAM District 6 Director. Discussion followed. Monty Thompson moved accept Richard Gordon’s retirement/resignation as of December 31, 2015. Rob Ertle seconded the motion and all approved. Discussion followed on the interim Director for District 6. Tim Bean moved to appoint Gary Berendzen as the interim Director for District 6 until the next election. Monty Thompson seconded the motion and all approved. President Hoover advised he would be appointing a new chairman to the Contest Committee. Scott Frandsen reported that the vendor fair would be Friday only. The apparatus displays will be on Saturday and will be near the contest grounds. Discussion followed on several other convention topics and clarification as to requirements for the convention host. Rick Dozier reported that the Propane First Responders Conference was held at the State Fair Fire Department September 12-13. 60 students from 29 departments attended. The training will be held again on September 22-23, 2016 and is in the planning stages. RB Brown reported that having the poster contest winners pick up their prize money and spend a day at the fair with their families was very well received. Murphy Brothers donated midway carnival passes to the winners. The committee is working towards making this an annual event for the winners. Greg Brown reported that there have been lots of pre-filings for legislation relating to the fire service. 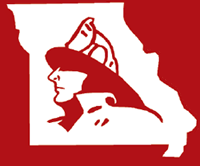 The Missouri Fire Service Alliance will be meeting on Tuesday. The federal reimbursement act is up for renewal and there are several volunteer incentive issues that have been pre-filed. SB 613 regarding workers compensation for volunteer firefighters will be addressed. Keith Smith advised that several surrounding states have a program that allows firefighters to purchase four tires at state bid pricing each year as a benefit. He recommended that the committee review that as a potential option to address with the legislation. Secretary Miller reported the following membership counts: 534 Directors/Councilman; 278 Retired; 17 Associate; 12 Sustaining; 19 Corporate, 390 Departments; 7460 Active. Keith Smith reported that those up for election will be contacted. Keith Smith reported that he has attended several meetings recently. He encouraged everyone to become familiar with the Share the Load Campaign which is a free and anonymous program for firefighters. 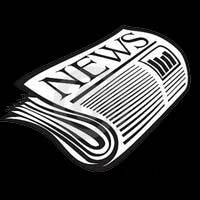 Information will again be provided in the newsletter. He will also be providing information in the next newsletter regarding the multi-state meeting he attended in Iowa. NVFC has launched a recruitment and retention program called “Make Me a Firefighter” and information is available online. Jaime Miller advised that the submission deadline for the next newsletter is January 4. Kay Asher reported that she is working on sorting through items received. Brian Zinanni, Team Coordinator, reported that the team has assisted with two LODD this year. Contact him if you have any issues. The team is working on training opportunities and insurance form changes and will send out the information when it becomes available. Brian Zinanni presented information regarding the Supporting Heroes campaign which provides financial sustainment for families during a LODD. Supporting Heroes is similar to the Backstoppers and Safe programs however, it would cover the entire state of Missouri and not be restricted to the St. Louis and Kansas City areas. Supporting Heroes is funded through donations and corporate sponsorships. Zinanni requested that the Board review the Supporting Heroes program and if interested, he would like to receive the endorsement of FFAM to bring the program into Missouri. President Hoover advised the topic would be put on the February agenda. Keith Smith advised that he needs names as soon as possible for those that will be recognized during the 2016 memorial services. All engraving and brick requests need to be in by February. The foundation is looking at the possibility of a smaller version/concept of the museum in order to get a building started. The smaller version/concept would be done in phases so that the building could be added to as funding allowed. President Hoover opened discussion on the $250.000 pledge that was made by FFAM to the Foundation and how much the FFAM would be able to donate at this time. The Board advised that the Executive Committee should review the finances and advise the Board how much they recommend providing to the Foundation at this time. The topic was tabled until the February meeting. Discussion was held on the February meeting conflicting with Winter Fire School. Rex Reynolds moved that the February meeting be moved to January 31, 2016. Roy Sims seconded the motion and all approved. Greg Wright thanked the FFAM for their continued support of the EMS Funeral Team throughout the year and thanked the Missouri State Fair Fire Department for their donation. He reported that the EMS Funeral Team will not be having a conference in 2016 but will be having a weekend celebration Oct. 21–24 at the Lodge of the Four Seasons at the Lake of the Ozarks. More information will be sent out when available. Scott Frandsen reported that the Lake Area Emergency Services Association will be hosting the Can-Am Police-Fire Games in 2018 and 2020. The games are Olympic type sports. Contact him or Chief Dorhauer if you are interested in helping with the games. Rex Reynolds moved to adjourn the meeting. Richard Gordon seconded the motion and all approved. President Hoover adjourned the meeting at 11:15 a.m.